In online marketing, traffic rules. The bigger the traffic, the better. However, employing a single strategy to boost your visibility in Search Engine Results Pages (SERPs) will limit your reach. According to Google, even though paid ads appear on top of the search pages, they do not replace the clicks on organic search. Google further emphasizes that for companies who do paid ads, 50% of the clicks on paid ads do not replace the clicks on organic results before they invested in paid ads. It, therefore, means that if you use both PPC and SEO together, you get double conversion rates from both digital marketing strategies. Again, when you dominate SERPs, prospects view you as a thought leader in your industry. It is, therefore, vital for you to think of dominating the search pages with both PPC and SEO approaches, as they not only increase your traffic and conversion rates but also grow your reputation in the market you serve. When you use both PPC and SEO together, you will have a lot of keyword data to analyze. 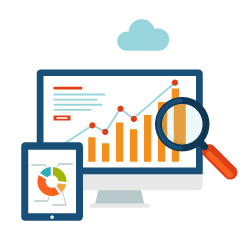 You are therefore able to find the keywords with the top conversion rates from the vast pool of keyword data. Once you have obtained the best performing keywords, you can now choose which ones will work better for organic and paid ads. With analytics, you can determine which keywords can be used to improve your overall digital marketing campaign. In most cases, copy that works for PPC also works for SEO. You can, therefore, use your top performing PPC ad copy to know how to title your blogs, meta-descriptions and page content to improve your page rankings. By leveraging on PPC ad copy, you will know what will work for your SEO campaigns immediately as opposed to testing meta-descriptions, title tags, and page content. Social media marketing is continually changing, one of the surest ways of ensuring social media marketing success is maintaining visibility. With social media platforms like Facebook, YouTube, Instagram, LinkedIn you can create ads that target specific people. The information from these campaigns is so refined that it can be used to refine your SEO strategies and boost your social media visibility for your brand. Businesses are prone to negative publicity. Using both paid ads and SEO can help you inhibit the reach of negative publicity. The primary objective of using PPC and SEO to control damage caused by negative PR is to improve your visibility. A good example is when during the Gulf oil spill, BP paid for ads to control the search results for the term ‘Oil Spill.’ During that time anyone who searched for the term first landed on an ad by BP that directed them to a page on BP’s website that addressed the cleanup process. With PPC and SEO you can control the results for specific search terms; hence you can tell your side of the story.